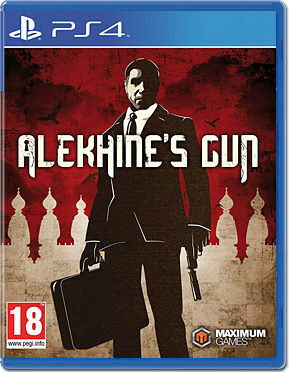 Featuring high-stakes and choice-based stealth gameplay, Alekhine’s Gun puts players in the shoes of KGB colonel turned CIA spy, Agent Alekhine as he finds himself tangled in a conspiracy that could have global consequences. Alekhine’s Gun takes you deep into the tense, complex heart of the mid-20th century Eastern Bloc conflict, where you’ll encounter double-crossing, treachery, and looming nuclear threats. Unravel the conspiracy. Uncover the truth. Save the world. Through 11 levels set in both military and civilian locations, Alekhine will have to fight and sneak his way through highly protected zones to complete objectives. Enjoy the lush realism of the historical setting in levels set in Europe, America, and Cuba. Each immersive, non-linear level will contain multiple routes to success, rewarding players who take the time to explore and optimize their strategy. Hidden rooms and paths will help the sharp-eyed player, increasing stealth rankings, unlocking more weapons, and providing more stealthy approaches to each mission. 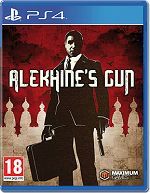 With a narrative that spans the late days of World War II to beyond the assassination of John F. Kennedy, Alekhine’s Gun puts you in the middle of a world on the brink of war. Uncover the bizarre truth behind the anti-government conspiracy threatening the fragile peace between Soviet Russia and the United States through total immersion in the historical conflict. With film noir-inspired cutscenes, Alekhine’s Gun will provide additional insight into the historical Cold War context. Through detailed flashbacks, you’ll learn game-changing character secrets and real history to help Agent Alekhine succeed in this covert operation before the nuclear standoff becomes nuclear war.